This could be the easiest yet most heartfelt gift that works for so many different occasions. Do you have a go-to gift for celebrating special milestone occasions? I wanted to share one with you that I’ve found to be a universal, easy-to-personalize, and warmly received gift. 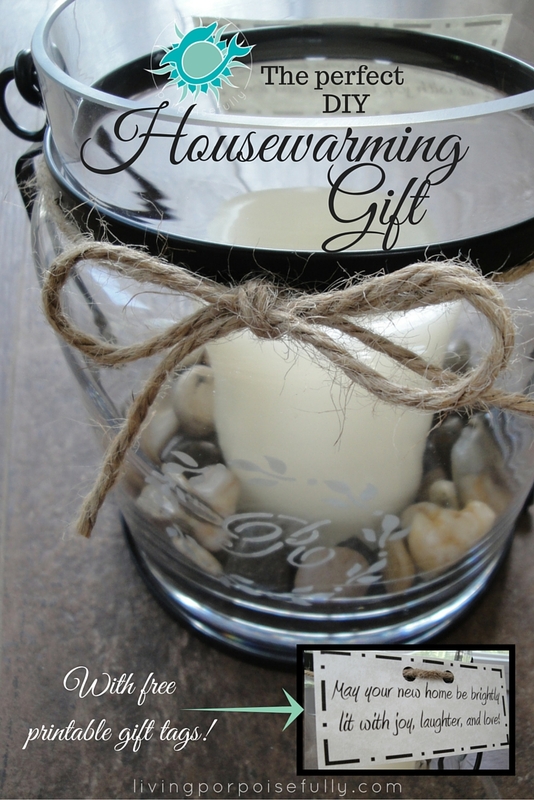 It’s worked fabulously for many different occasions, such as housewarming, wedding, retirement, and even a substitute for an Easter basket (fill it with candy!). It’s the incredible lantern! There are so many different ways to customize it, whether it’s for a particular season, color, or style of decor. With endless possibilities, each lantern can be unique so it doesn’t feel like I’m giving the same gift over and over again. And here’s one without the monogram that’s even simpler. Since this one was for our new neighbors, we added in our phone numbers and names so they would have our contact information. I of course love the sea glass and wine cork combination! With a printed tag to bring warm wishes to the occasion, it makes the gift even more personal. I love the sentiment that the new home or retirement will be “brightly lit with joy, laughter, and love” to play on the lantern theme! I think this would make a wonderful gift for the holidays too, really almost any time of year or occasion! You can use a wax candle, or one that is battery operated and has a timer so that it will come on automatically in the evening. Position an adhesive stencil on the glass lantern. 3. Rinse off the etch cream after 10 minutes, using the brush to help. 4. Dry the lantern and remove the stencil. 5. Position the letter stencil and paint the openings as you did before. 6. Wait 10 minutes and rinse cream as you did before. Dry the lantern and peel off the stencil. 7. Set and add a timer candle to the inside of the lantern. With a 5-hour timer, I set it to go on at 6:15pm (meaning I waited until this time to flip the switch) for the new homeowners to enjoy each evening! 8. Add river rock or other decorative filler to the lantern. How simple is that!? It’s a gift you’ll love to give and want to keep giving. Enjoy! Next Post Big News: Our 2nd Book is Here!